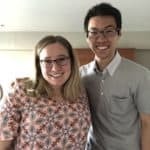 Kodai Noguchi joins Caryn Herring at the One World, Many Voices: Science and Community World Congress in Hiroshima, Japan to discuss growing up stuttering in Japan, stuttering in your own way, meeting others who stutter, and much more. Kodai and Caryn have a fascinating discussion about using filler words, tricks, and compensations in Japanese and English. Kodai Noguchi. M.S., CF-SLP is a person who stutters and a bilingual SLP candidate who speaks Japanese and English. Kodai completed his masters of science at the University of Wisconsin-Eun Claire and his research interests include the psychosocial aspects of stuttering such as self-efficacy and stigma. Caryn Herring is a person who stutters and a speech-language pathologist, currently pursuing her PhD at Michigan State University. 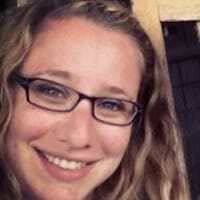 Caryn’s research interests include the process of desensitization and the role of voluntary stuttering. She co-hosts the StutterTalk B-Team and serves on the board of directors for Friends – The National Association of Young People Who Stutter. Róisín McManus, Caryn Herring and Joel Korte of the StutterTalk B Team discuss the ups and downs of stuttering. Listening to this episode is like being at the coffee shop or in the back seat of the car and overhearing three amazing friends bond over stuttering. Róisín McManus and Caryn Herring of the StutterTalk B Team discuss stuttering and life transitions, facing stuttering at work, the right to exist as stutterers, becoming okay with other people’s discomfort about stuttering, the physical exhaustion of stuttering, stuttering as an asset in the workplace and much more. Joel Korte of the StutterTalk B Team was not able to participate in this episode. We look forward to his return! Roisin McManus, Caryn Herring and Joel Korte of the StutterTalk B Team answer listener questions for this special episode. Topics include defining stuttering, facing the daily challenges of stuttering and career decisions of people who stutter. To end the show, Roisin, Caryn and Joel discuss how their lives with stuttering have changed since first appearing on StutterTalk. Roisin McManus lives in New York City and has co-led the Brooklyn Chapter of the National Stuttering Association for the past 5 years. 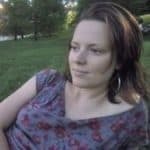 She is an occasional StutterTalk host, was the lead planner of the 20-Something’s Program for the NSA/ISA World Congress in Atlanta 2016 and doesn’t mind being referred to as a “stutterer.” She works as an emergency room nurse and recently graduated from New York University as an acute care & palliative care nurse practitioner. Joel Korte is an electrical engineer, speech-language pathologist, and a person who stutters. He graduated from the University of Minnesota with a Master of Arts in Speech-Language Pathology in 2013, and earned his Bachelor of Science in Electrical Engineering from the University of St. Thomas in 2007. Joel is the co-leader of the Minneapolis chapters of both the adult and teen (TWST) support groups through the National Stuttering Association. Joel is the owner of the Chase Bliss Audio, a guitar effects pedal company, and is a musician in a Minneapolis. Much of the conversation touches upon Mr. Constantino’s powerful keynote address at FRIENDS regarding tearing down walls of ignorance and discrimination. Other topics include urging others who stutter to listen to each other’s experiences with the physical pain and struggle of stuttering. While acknowledging the importance of educating others about stuttering, Caryn points out that she doesn’t want to be responsible for educating society every time she opens her mouth. The team discuss wanting to advocate for others who stutter while also wanting to live and speak with little struggle. 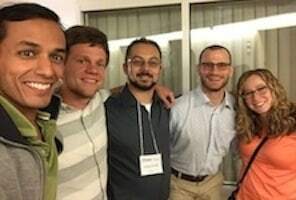 The FRIENDS conference took place July 28-30 in Columbus. Ohio. 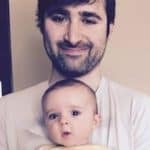 Christopher Constantino is a person who stutters, a StutterTalk host and a PhD student in Communication Sciences and Disorders at the University of Memphis. Chris is doing his clinical fellowship in the Shelby County Schools in Memphis and is conducting a research study to understand and contextualize the experiences of passing as fluent for people who covertly stutter. Reuben Schuff is an author and roving host for StutterTalk. By profession and passion he is an aerospace engineer, and also, a traveler, a juggler, a Toastmaster, and a person who stutters. He is a workshop presenter for the National Stuttering Association (NSA) annual conference and is the co-founder of the Raleigh Teens Who Stutter (TWST) chapter of the NSA. Reuben also facilitates and presents with FRIENDS (the National Organization for Young People who Stutter). Reuben is author of the chapter Fluency: My Untrustworthy Friend in the StutterTalk book: Stuttering: Inspiring Stories and Professional Wisdom. Dhruv Gupta is a sustainability advisor at cBalance, a volunteer with The Indian Stammering Association, and the founder of Speak: Stammering Foundation. In 2015, Dhruv facilitated a two day FRIENDS workshop in India and has appeared a number of times on StutterTalk. Mark Baer is a speech-language pathologist at Sisskin Stuttering Center and for the District of Columbia Public Schools. He earned his M.S. in Communication Sciences and Disorders from the University of Memphis. Mark is a person who stutters and an active member of the National Stuttering Association. 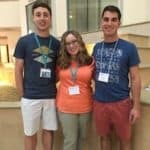 Nick and David, both 17 years old, join Caryn Herring at the 2016 annual convention of FRIENDS: The National Association of Young People Who Stutter. They discuss the pressure to be like other people and how FRIENDS supports people who stutter and their families in facing such challenges. Other topics include occupations for people who stutter, the role of siblings and parents in stuttering support and working on doing a better job of not hiding stuttering. The FRIENDS conference takes place July 28-30 in Columbus. Ohio. 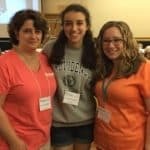 Josette Tugander, a young woman who stutters, and her mother Juliette Tugander join Caryn Herring at the 2016 annual convention of FRIENDS: The National Association of Young People Who Stutter. They discuss taking down stuttering walls and being aware of the walls we build. Other topics include the power of stuttering support, how people who stutter inspire each other at FRIENDS to be brave with stuttering and the important stuttering moments which happen outside of the workshops at FRIENDS. Josette and Caryn share how helpful it has been seeing peers and role models who stutter face stuttering challenges. Josette shares the experience of attending a FRIENDS convention when she was in high school and being inspired by a college student who discussed the importance of telling your roommate about stuttering. Now in college herself, Josette shares how open she is about her own stuttering in college and that her friends and roommates are even in the room sometimes during her Skype speech therapy sessions. 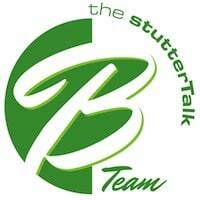 Roisin McManus, Caryn Herring and Joel Korte of the StutterTalk B Team discuss the roller coaster ride of stuttering. While Joel and Roisin report not having the “emotional capital” or need to worry about stuttering at the moment, Caryn shares some recent, hard stuttering challenges she is facing. The B Team then discusses the recent National Stuttering Association and International Stuttering Association joint conference and a discussion on wether stuttering should be considered a disorder or a difference. As always, be sure and stick around until the very end of the episode when Joel shares a story about a news reporter who appeared to uninvite him from a television appearance because of his stuttering. 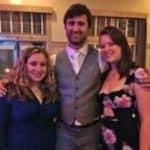 Roisin McManus and Caryn Herring of the StutterTalk B Team join Peter Reitzes to discuss the huge success of the NYC stuttering conference The Past, The Present and Future of Stuttering. Today’s topics emanate from this workshop. 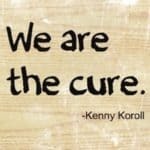 We discuss Barry Yeoman’s amazing keynote address including topics he raises such as the juncture of “we need a cure and we are the cure” and his hope that “stuttering awareness” becomes “part of workplace diversity training because we [people who stutter] put it there.” Other topics discussed include the language around stuttering such as “pathology”, moving beyond ‘stuttering is okay’ into activism for people who stutter, becoming aware of not participating in the stigmatizing of stuttering and so much more. 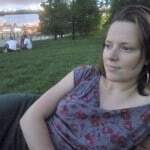 Roisin McManus lives in New York City and has co-led the Brooklyn Chapter of the National Stuttering Association for the past 5 years. 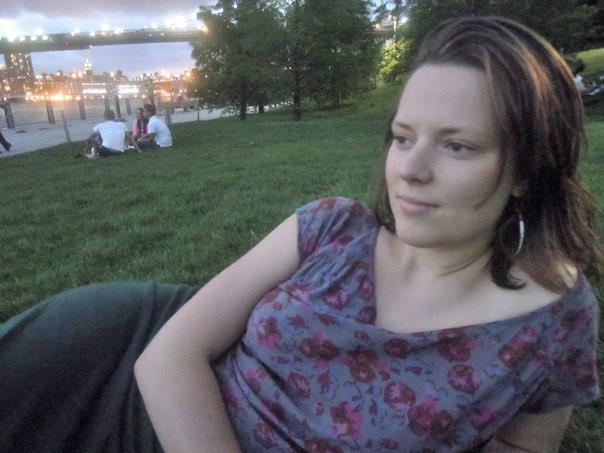 She is an occasional StutterTalk host, lead planner of the 20-Something’s Program for the NSA/ISA World Congress in Atlanta this July, and doesn’t mind being referred to as a “stutterer.” She works as an emergency room nurse and recently graduated from New York University as an acute care & palliative care nurse practitioner.